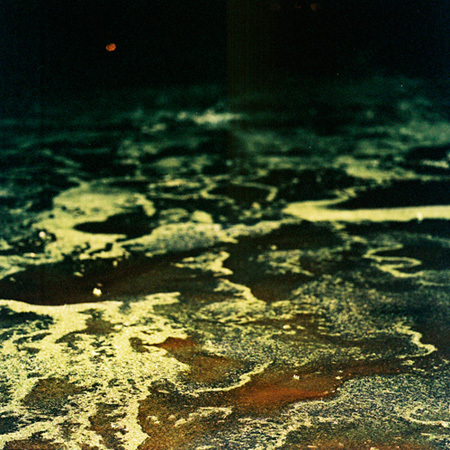 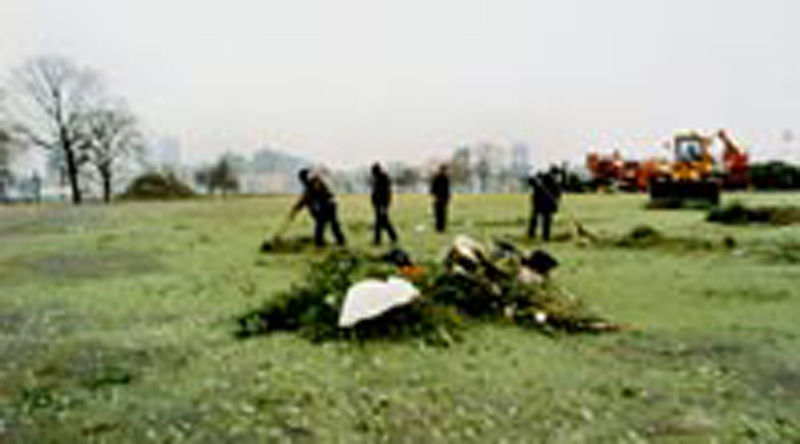 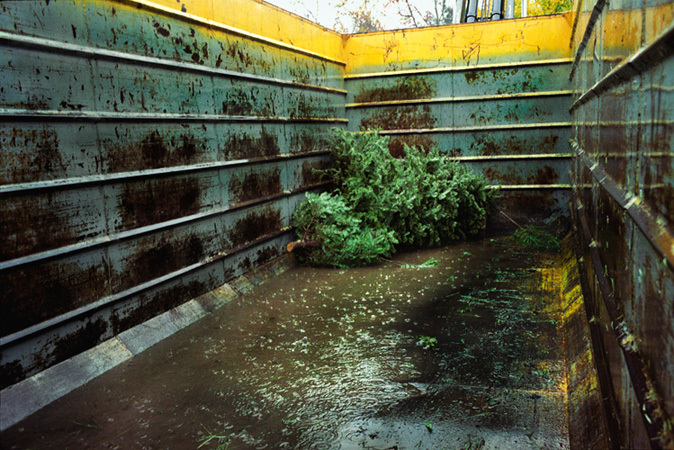 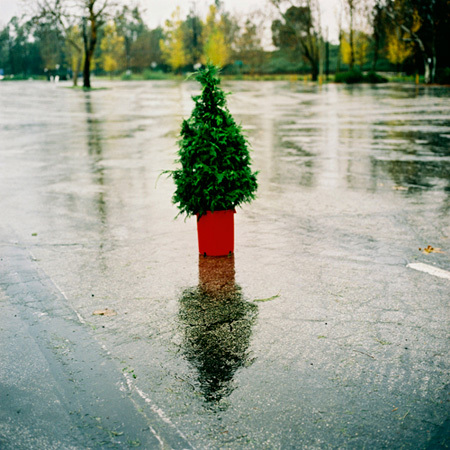 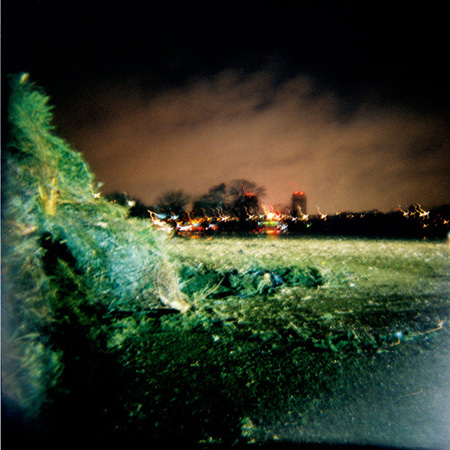 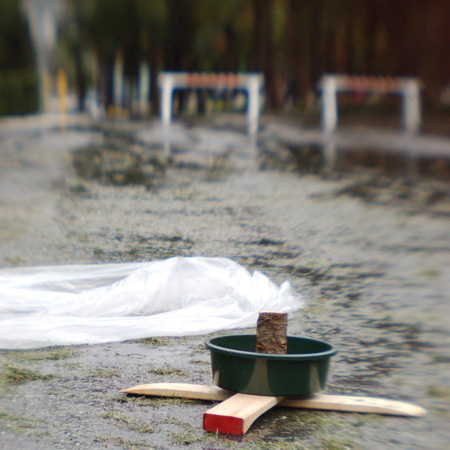 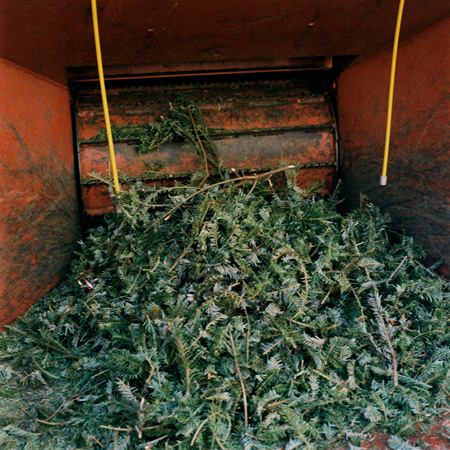 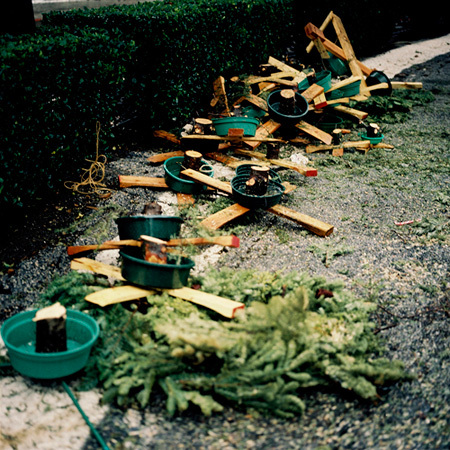 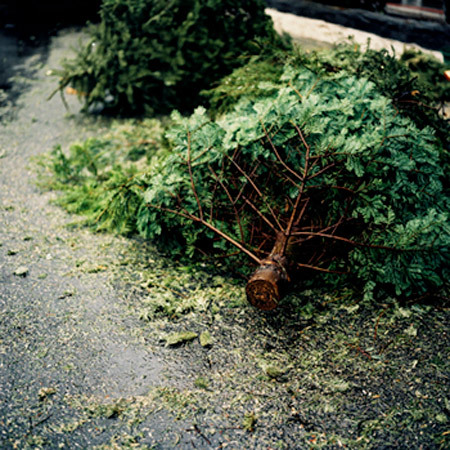 Conceptual essay on fate of Christmas trees after the holiday. 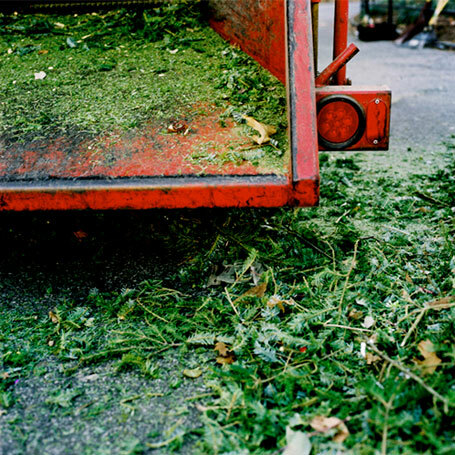 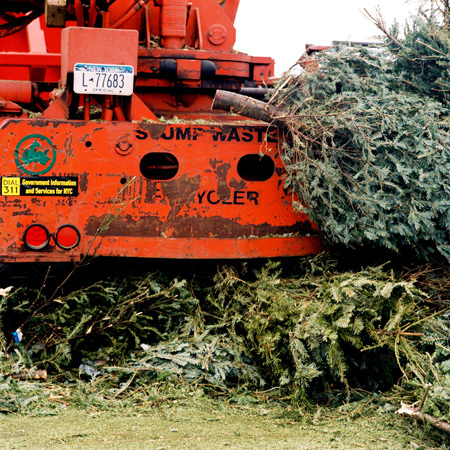 After Christmas photographer Meg Madison has visited city yards to photograph trees that are brought there to be recycled into mulch. 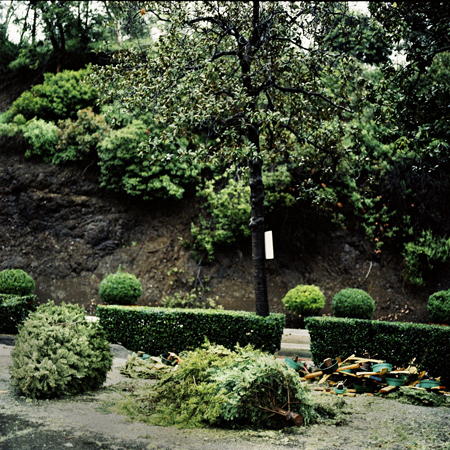 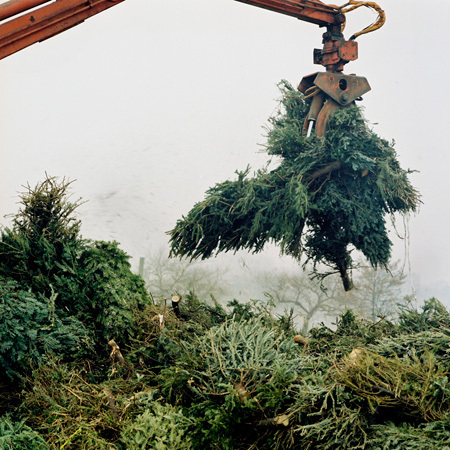 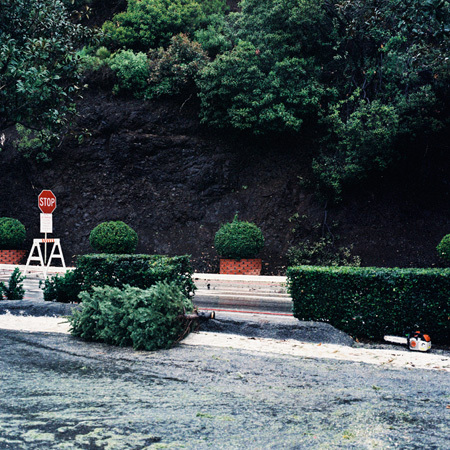 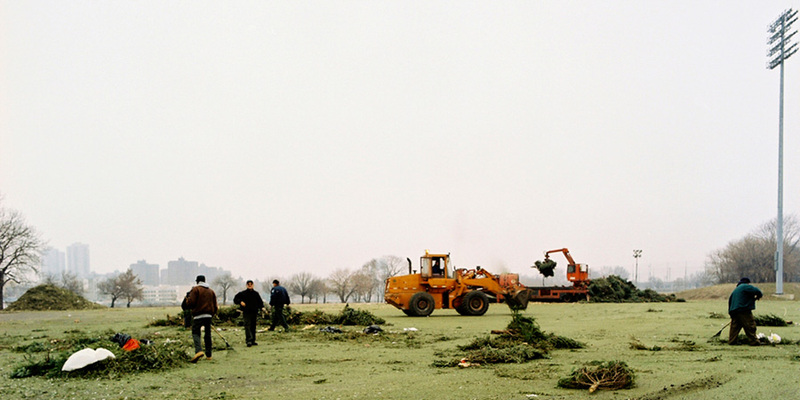 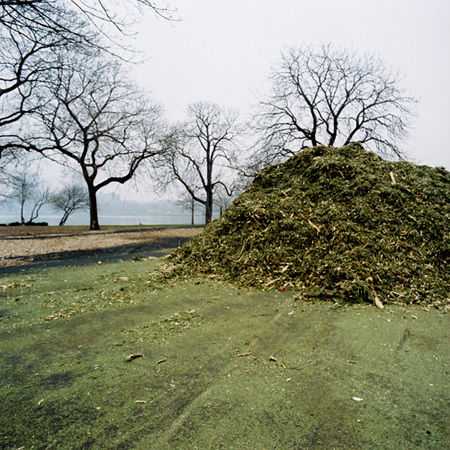 In her photographs the once carefully pruned tree becomes one of the hundreds being moved about by heavy machinery and turned into mulch. 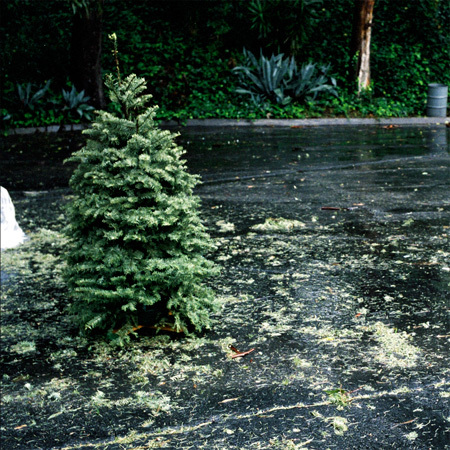 These photos ponder the transition of a potent sign when, after the holidays have passed, people en masse take their trees out of the house. 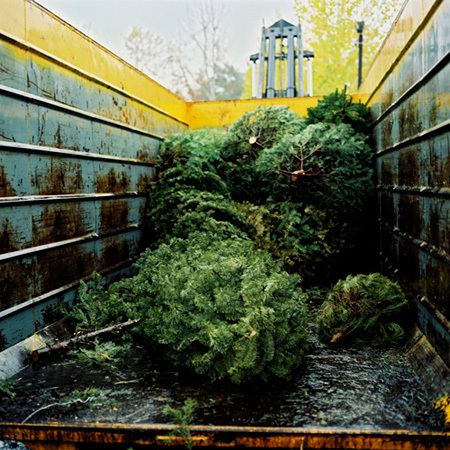 Madison captures these forlorn moments and objects with great compassion, as a symbol of perpetual faith and fertility transforms into a symbol for disposable culture and mass consumerism.